Welcome to the Staff Page of Get Up Radio. These individuals took an idea and made it a reality called Getupradio.com.It started in 2003 as an Online Radio Station and now has transformed into an International Media Broadcasting Station. They continue to have viewers around the world come daily and enjoy the videos, music, information, and other things that Get Up Radio Media Broadcasting offers. Get Up Radio was launched in the year 2006 and already 4 years later, it has signed a contract to be one of few radio stations on IROAMER's 1st internet radio for automobiles to come out by 2012. We continue to network as we are now a member of the National Press Club of Washington, DC. Starting at age 16 in New Orleans, Alan Cousin promoted and managed small bands in clubs and small events. Through learning from Ralph Cooper (Luther Campbell Personal Manager), Jetta Jones, Aaron Neville, and others, Alan learned the meaning of proper promotions and definition of the Entertainment Industry. He has worked with Boyz II Men, Jay-Z, Tom Joyner, Cash Money, and many others and seek to help others obtain the chance to show off their talent and have the dream of being in the Entertainment Business. Barbara Perez, a comedian originally from Colorado, is now living in NYC, and performing at clubs all over The Big Apple. WazeOutRadio's weekly show, "Comic-To-Comic" is a rare glimpse into the inside world of comedy. Each week, she features Industry Insiders, such as comedy club owners, bookers and agents, or seasoned pro-comics. They discuss, one-on-one, the in's and outs of this very tough industry. Sometimes edgy, but always informative and entertaining, fellow comics can learn tricks to the trade and tips on how to get ahead as well as what NOT to do if you are looking to rise in the ranks; non-comedians will enjoy looking behind the curtain to sneak a peak at the brutal world of comedy which is sometimes anything but funny. "Comic-To-Comic aired every Wednesday night in its primetime slot, 9-10pm EST as Barbara Perez's first Comedy Show on Get Up Radio. Then she wanted to do more when America Economy fell. She came up with "Project Highway" that deals in traveling city to city throughout the United States bringing comedy to everyone as she promotes small businesses online. She is doing project highway with Co-Comedian, Mike Motz, everyday coming to a city near you. Starting as a singer for the Acapella group "Crescendo", Christopher Saulsberry learned the true definition of music and entertainment. Thoughout the years he took this and brought it to Get Up Radio as the Director of Producions. Known as "DJ Vocalz" throughout the world, he broadcasts music and information through his podcasts and searches for the best music for World-Wide viewers to listen to and Get Up and Get Down with. DJ Vocalz wants to only produce the best in Entertainment to broadcast and intends only to do just that. Sports is the name of the game here with "He Said..She Said Sports" Talk Show of Get Up Radio Media Broadcasting. Enjoy the information and action from both the Male & Female point of view about various sports coverage and other sports related events. I am sure you will be surprised on what you hear and what to expect when a Man and a Woman talks about the great adventure of SPORTS. So STAY TUNE & ENJOY! If interested in joining our team then contact us at 1-877-489-9689 EXT 9 for interview. Starting out in the streets of New York, Big Moe hustled in promoting artists and events learning skills from old school rappers when hip hop was born. Throughout the years, Big Moe has helped singers, bands, and musicians to get promoted, educated and signed with Major Record Labels. As a Entertainment Guru, Big Moe didn't let slip the opportunity to help create the internet radio station called Getupradio.com in 2006 and help to develop it into what it is today. 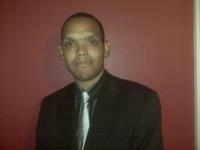 He continues to help with broadening one of the Hottest Internet Radio Station for all to enjoy and listen to daily. Jason Lee is the newest addition to the GetUpRadio team and has a lot to bring to the table. He is a self-taught web tech whiz who has years of experience in sales and marketing as well. Jason Lee has worked for several multi-million dollar companies as a web guru able to harness technology to accomplish internet marketing related goals. He is able to bring out the best in any project while satisying the needs of both sides of the technology and marketing coin. When it' s "NEWs" and it's "IMPORTANT TO KNOW", Get Up Radio Media is going to make sure you know about it! One of few investigative News Reporters on our Team, Erin Baxton knows the true Identity of News Footage and Importance to bring you what you need to know and more so, WHAT MATTERS! Join us here at Get Up Radio Media Broadcasting or on our Facebook Page and Youtube Page to find out the TRUE NEWS FIRST! If interested in becoming part of our team then contact us at 1-877-489-9689 EXT 9 for interview. Enjoy the new era of drinking and Bartending with Get Up Radio Media Broadcasting Talk Show host. Come and see the Famous and not so known but delicious drinks that will make you "GET UP" and ENJOY Yourself only like you should. If you are interested in being part of our team then contact us at 1-877-489-9689 EXT 9 for interview. Position Open - Master Multimedia/Video-film/Editor Tech. Get Up Radio is now seeking a individual for Media / Video Editing who is creative and has a vision to bring to the world. If you are seeking to be part of our Team then contact us at 1-877-489-9689 EXT 9 for interview. Enjoy the delicious and grand scope of natural cooking with Get Up Radio Media Broadcasting Talk Show host, . Come and discover the Famous and not so Famous, but delicious cooking cuisines, snacks and more that will make you "GET UP" and ENJOY Food naturally every day. If interested in becoming part of our team then contact us at 1-877-489-9689 EXT 9 for interview. Dexter Parks - Film, Television Show preparation, Interactive Multi-Media commercials, programming and more! This Video Producer understands the true meaning of media filimg and programming. Whether it's a simple commercial or music video, television prgram, or even multi media network broadcasting, Dexter has the knowledge and ability to turn your small budget into a Masterpiece. Current owner of Northside MultiMedia Productions (Newnan, GA), and founder of 3-D Video which aired on UPN Network to Millions of viewers in the years 2001-2004. Also the well known director and video producer of the Hit Movie, "Get Down On It", still on sale in stores world-wide as distributed by York Entertainment. Dexter has over 25 years of video, cinematography, and multi film networking experience ready to captivate your eyes with his creative ability and talents. Contact him at 404-454-3299 to broadcast on Get Up Radio Live Broadcast II Section.